JOURNALISTS from Japan visited the World Rugby Hall of Fame this week during a tour of the birthplace of the game. 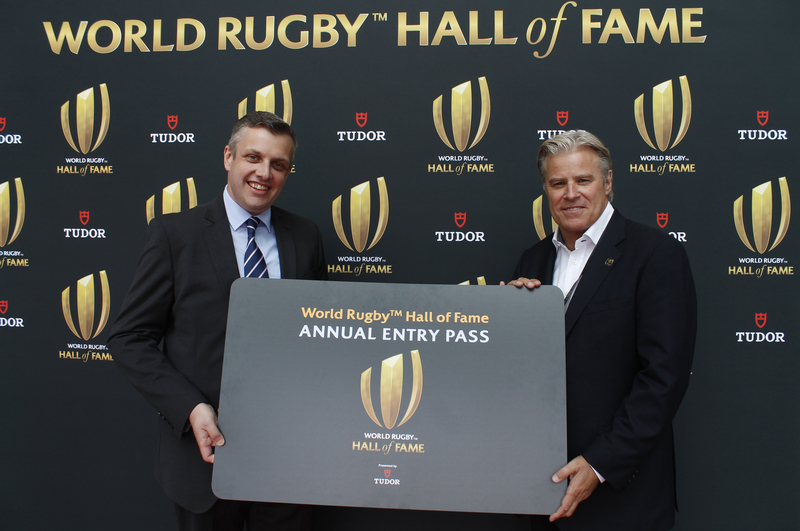 VISITORS to the World Rugby Hall of Fame can now sign up for an Annual Entry Pass, securing exclusive discounts and priority booking for events. 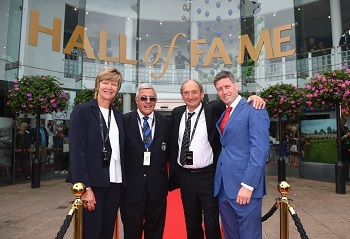 RUGBY fans rubbed shoulders with legends of the sport when the World Rugby Hall of Fame welcomed the 2018 inductees to the birthplace of the game. A SPECIAL ceremony takes place next week at the World Rugby Hall of Fame to welcome the 2018 inductees. 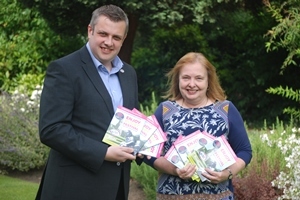 RUGBY celebrates English Tourism Week with the launch of a new range of guides for visitors to the birthplace of the game. THE WORLD Rugby Hall of Fame will host the Webb Ellis Cup for the first time since opening, this Saturday (11 November). 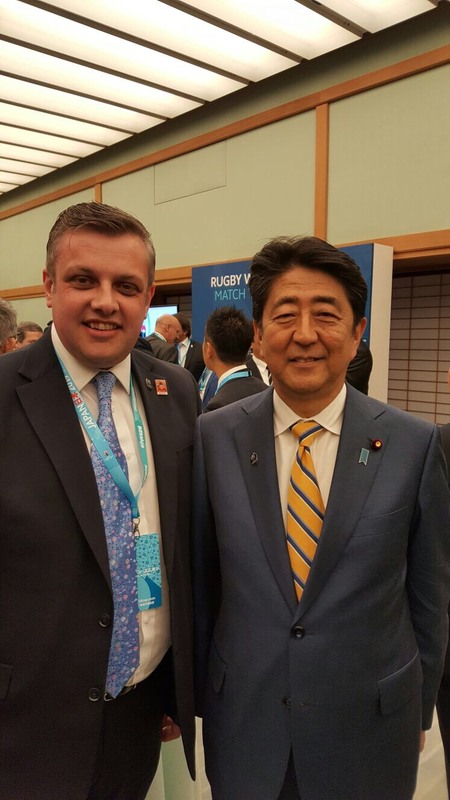 A visit promoting the birthplace of the game of rugby to Japan, hosts of Rugby World Cup 2019, has reached the top with an informal meeting with Shinzō Abe, Prime Minister of Japan. A SENIOR delegation from the birthplace of the sport of rugby will attend the pool draw for Rugby World Cup 2019 in an exclusive link-up with the tournament organisers. 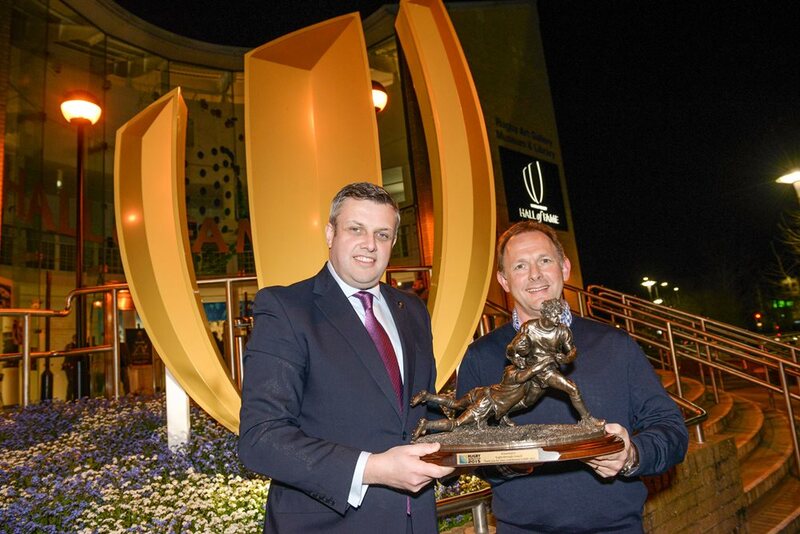 Rugby Borough Council has been presented with a bronze sculpture commemorating the council’s role in Rugby World Cup 2015. VISITORS to the World Rugby Hall of Fame gave it a festive thumbs up over the Christmas and New Year holiday, with around 1500 visitors to the interactive experience. Twelve legends of the game will be inducted into the World Rugby Hall of Fame at a special ceremony to celebrate the official opening of the physical visitor experience in Rugby on 17 November. The World Rugby Hall of Fame will be opened officially on Thursday 17 November in the presence of some all-time greats of the game. BUILDING works to the foyer of the Rugby Art Gallery, Museum and Library start this week. 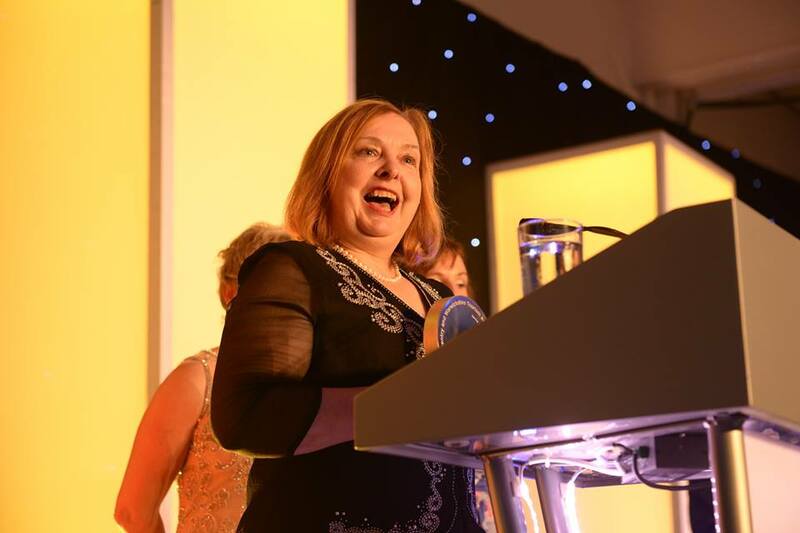 Rugby’s festival and tourism offer picked up a double success yesterday (Thursday) at the prestigious Coventry and Warwickshire Tourism and Culture awards. THE future of Rugby Art Gallery and Museum's collections have been secured following a meeting of the leader's project group. 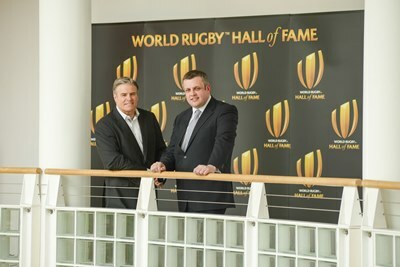 RUGBY Borough Council has announced that work on the World Rugby Hall of Fame is to start almost immediately. Rugby's greats and the moments that defined the sport will be celebrated in a permanent home for the first time. A REPORT to Rugby Borough Council's cabinet has revealed the full impact of the borough's Rugby World Cup events and activities. A yarn bombing day held in Caldecott Park has won an award honouring the best Have a Field Day event staged to celebrate the Festival of Rugby. Chris Robshaw won’t get to see it again, but residents and visitors will get to see the Webb Ellis Cup as it returns to the proud home and birthplace of the game. THE Rugby World Cup has inspired this year's Big Draw celebration at Rugby Art Gallery and Museum. Rugby’s greatest prize, The Webb Ellis Cup, will be paying a very special visit to Rugby, birthplace of the game on Sunday 16 August. 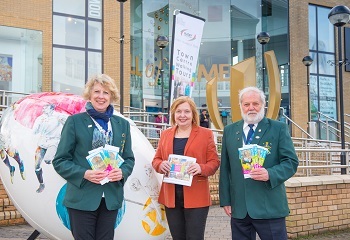 A FREE guide to the town's Rugby World Cup 2015 celebrations has been published. A NEW piece of public art celebrates Rugby's status as the Proud Home of the game. 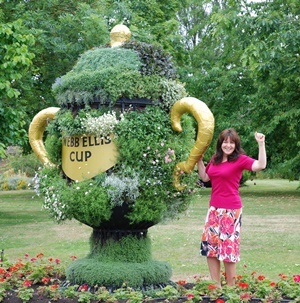 RUGBY'S floral tribute to the famous Webb Ellis Cup has returned to the Proud Home of the game. 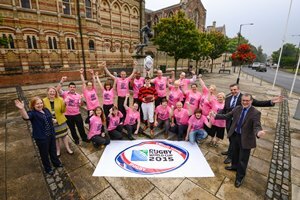 With 100 days to go, Rugby Borough Council has announced the Official Rugby World Cup 2015 Fanzone operational days at the birthplace of the Game. Rugby Borough Councillors are to award the Freedom of the Borough to the England Women's rugby team, in recognition of their outstanding achievement in winning the 2014 Rugby World Cup. 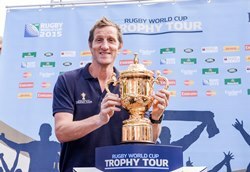 Rugby Borough Council is inviting representatives of Rugby-based businesses and organisations to attend an evening briefing about next year's Rugby World Cup. Birthplace of the game given “proud home” designation. RUGBY'S place in history as the birthplace of the game has secured the town a gold award in Visit England's prestigious Hall of Fame. A PROJECT which promotes the game of rugby in Brazil has secured the support of the Mayor of Rugby.